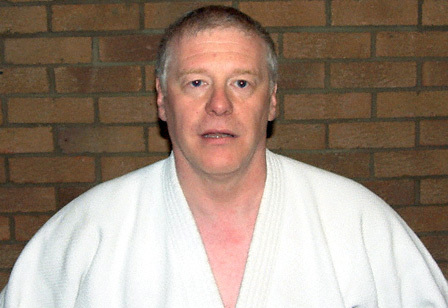 Stephen Billet 6th Dan currently coaches at Chingford & Woodford and Winchmore Hill clubs. Steve has been involved in martial arts for over 40 years, including a very successful competitive career in international judo competition. Steve is 6th Dan Aikido, 4th Dan Judo and 1st Dan Jujutsu. I started training in martial arts during my 16th year, a late starter many people pointed out, although I had previously been quite a successful gymnast and canoeist. Judo became my first martial art. I was very lucky to be trained by Leslie Agess one of the first women European champions in judo. My first contest was within weeks of starting and fought against a team from a school for the blind in the British Schools Judo Open. From that day onward I learned never too underestimate an opponent, as they had superior skills and I was lucky to win these contests. During the mid to late 70’s my Judo lead me onward to become the IBF European Champion several times at both 63 &amp; 65 Kilos. Around this time I was introduced to Don Bishop 7th Dan ADS ( Tomiki Aikido) and began to practice Aikido, mainly for fun, but with Don’s help to also improve my contest Judo by using some of the allowable Aikido techniques. I have always felt that if you take from a sport then you should also give something back; I therefore started to teach Judo (now for over 25 years) to both adults and children, achieving some success, bringing a few pupils through to international level. One of my most enjoyable times was training the local school children in Enfield for the London Youth Games Judo squad. They turned out to be possibly my most successful overall squad, gaining around 60 medals in 3 games. My Aikido career now ran in parallel with my Judo, both in teaching and contest. My first Aikido Dan grade was awarded by the Belgian Tomiki Aikido Association in 1976 when I competed in a Tanto Randori competition that was run during the break of the Belgian Judo Open. I entered for fun and due to Don’s superior coaching won the event ( I subsequently carried on to win the Judo event as well). I was a 2nd Kyu under Don at that time and decided to wait until he awarded my ‘proper home grown’ 1st Dan. Training in Japan has illustrated to me that there is more to martial arts that just competition and it was this that motivated me to begin teaching Aikido. Currently I have 2 Dojo’s in North East London (See Club Info). Aikido has now overtaken Judo as my first martial art with its requirements for skill rather that strength being more appropriate these days….